Posted January 30th, 2019 by Tim Anderson & filed under Startup Loan. Revolving credit card lines from $5,000 – $80,000. 0% interest for 6 – 12 months, interest rates starting at 9.99% afterwards. 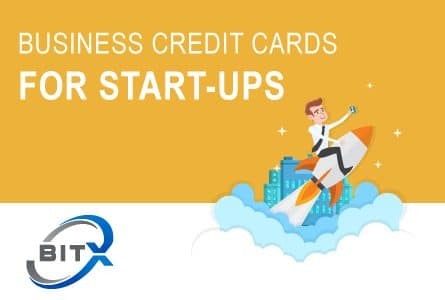 Business credit cards are the most commonly used form of financing for small business owners, in fact, there’s not really even a close second since credit card financing is so far ahead of all other forms of borrowing in the small business sector. According to the Meredith Whitney Advisory Group, 82% of small business owners use credit cards as a “vital part” of their overall funding strategy. Also, according to NFIB, 79% of small business owners use credit cards. Whether you’ve just started a small business or you’ve been at the helm for some time, a business credit card can come in handy. It gives you easy access to a revolving line of credit that you can use for purchases, balance transfers or cash withdrawals – when you need them, without hassle or delay. Take advantage of 0% interest, earn rewards and bonuses, get cash-back and other perks. Separate your personal and business credit — Having a business credit card will separate your personal and business expenses making life way easier at tax time. If you use the card for routine purchases, you can easily track, categorize, and analyze your expenses through your monthly statements. Provide a cash flow cushion — Does your cash flow ever lag from a decrease in sales or a delay in payments? A business credit card would let you pay expenses and make purchases – stretching your dollars without dipping into your cash flow. Establish and improve your business credit — There’s an easy way to build your business credit responsibly: small business credit cards. Just pay your bills on time, keep your balance manageable, and stay within your credit limit – and before you know it, your business credit scores will rise. What is “Credit Card Stacking”? A lot of entrepreneurs are skeptical when it comes to using credit cards to fund their businesses. However, the reality is that startups and low-revenue businesses simply don’t have a lot of other financing options. In our industry, applying for multiple credit cards to fund a business is known as “credit card stacking”. Credit card stacking allows business owners to tap into the power of multiple credit cards to finance their business. Our role as a provider is to get you several 0% interest or low-rate business credit cards whose combined credit limits reach your funding goal. We pre-qualify you based on your personal credit history, personal income, business credit history, and business revenue. Based on those and a few other important factors, we determine which business credit cards you would qualify for that have the highest limits and lowest interest rates. We submit applications for those credit cards directly to the lenders on your behalf. Depending on how much money you need, we submit anywhere between 3 and 15 applications. Most of the cards you qualify for will have 0% interest on purchases and/or balance transfers for 6 – 12 months. Based on our experience, most lenders tend to give small approvals to new business owners – a $2,500 – $5,000 approval on a business credit card would be considered “normal” – so if you have excellent credit and only need $5,000 you can probably figure it out on your own. But what if you need $25,000… $50,000… or more? It’s pretty simple – you need to find more lenders and run more applications. The challenge for most, then, is figuring out which 3, 4, or 10 lenders have the best offers – and then, do you even qualify? And if you do, in what order do you run the applications? And how do you do this without destroying your credit? BitX Funding start-up financing program connects entrepreneurs and business owners with $25,000 – $150,000+ in unsecured business lines of credit. This program can provide you with funding in as little as 10 days and is typically offered with 0% interest financing for the first 6-18 months. Designed to help meet short-term needs, such as unexpected events, or to take advantage of a great deal. Typically, most small business owners qualify. BitX Funding offers true long-term business loans with automatic monthly payments. If you are looking to Fund larger projects that pay back over a longer term with rates as low as 5.49% this option may be right for you? Business lines of credit allow you to draw funds whenever you need. Funds will be deposited directly into your bank account. Repay via automated weekly debits over six months. Your available balance replenishes as payments clear. Lines of credit can go as high as $100,000 with interest rates averaging around 13%. BitX Funding is the online marketplace for small business owners looking to fund a project. We specialize in connecting small business owners with lenders who will compete for your business. We believe small business owners drive the economy and we are passionate about helping your company reach its full potential. You can reach a loan specialist by toll-free at 1-800-824-2407, or email at info@bitxfunding.com or applying online here and we can guide you on which loan is the best fit for your business.